The families of nine Worth County High School students have filed a federal lawsuit against the Worth County Sheriff’s Office. This comes after a controversial search of the school and students in April when nearly 900 students were searched. According to the lawsuit, the search violated the students’ Fourth and Fourteenth Amendment rights. Lawyers for the Southern Center for Human Rights are representing the students and the nine families who filed the lawsuit. “To vindicate the rights of these children who were violated physically, who were so affected by the search that they were subject to that they felt humiliated,” said Southern Center for Human Rights Attorney Crystal Redd. The lawsuit claims the deputies conducted the search without individualized suspicion. “The Fourth Amendment requires individualized suspicion before a police officer would be able to touch the child,” explained Redd. The lawsuit also claims Sheriff Hobby had a “target list” with 13 students suspected of having drugs. Only three of those students were at school that day. In the lawsuit the defendants are seeking compensatory and punitive damages. WALB reached out to the sheriff but he did not have a comment, but he did say an attorney out of Thomasville will be representing him. No drugs or drug paraphernalia were found during the search. Parents spoke out after the search, filing complaints with the Sylvester Police Department on April 17. The same day, Worth County Sheriff Jeff Hobby, defended the search, saying it was necessary. 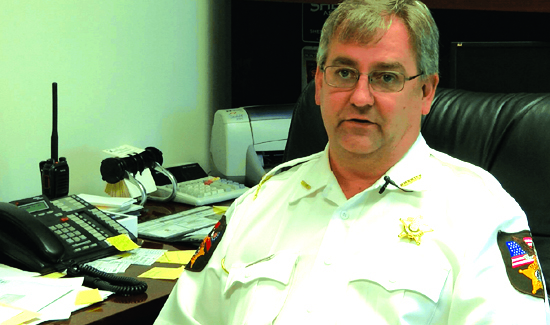 The GBI launched an investigation into a deputy of the Worth County Sheriff’s Office on April 19 in connection to the search. Other Worth County High parents told WALB that they support the lawsuit against the sheriff.